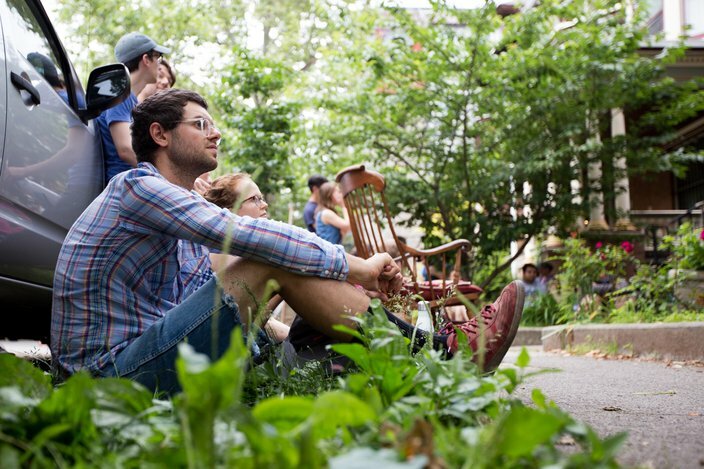 Emily Zeitlyn watches her friend, Ryen Eggleston, perform as part of West Philly Porchfest. 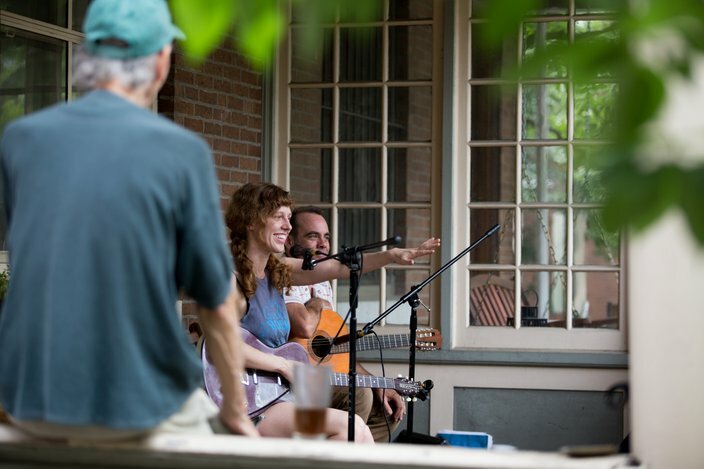 This was the first year Philadelphia participated in Porchfest, a national event founded in 2007 in Ithaca, New York, which has since welcomed some 50 participating cities. 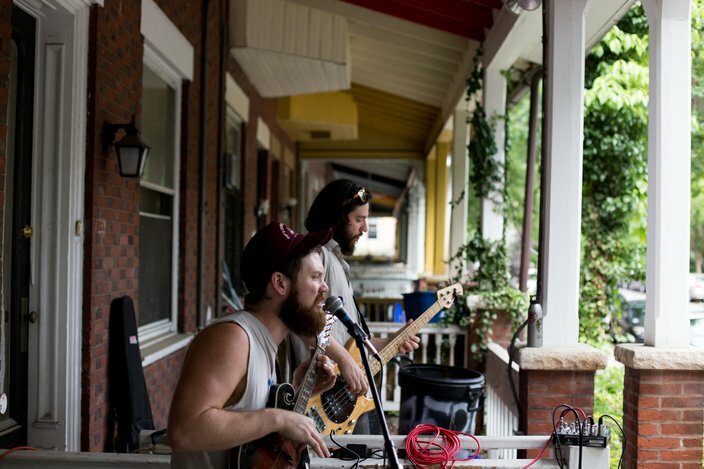 On Saturday, June 4, the West Philly Porchfest hosted shows on porches along Baltimore Avenue. All photos by Margo Reed. 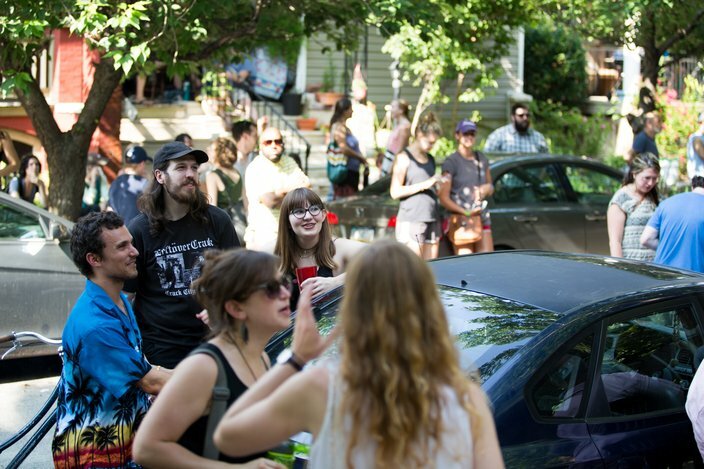 Crowds line up along Osage Avenue to watch a performance during West Philly Porchfest. Performances were held on porches between 40th and 54th streets on June 4, 2016. 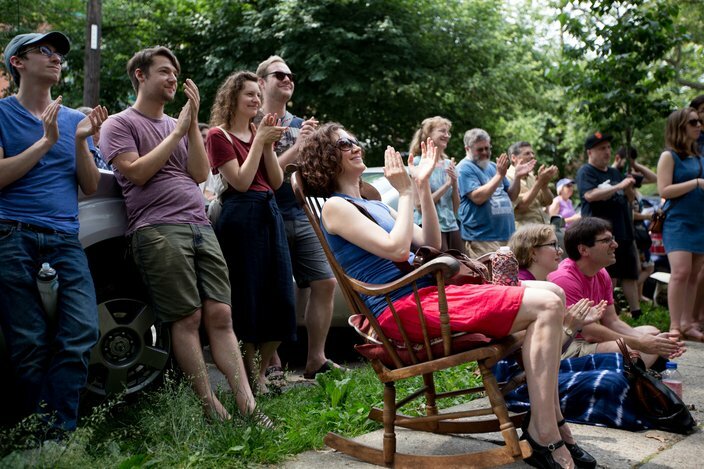 Von Weber claps for Meghan Hannah and Alex and Chris Onderdonk after they finished performing on Walton Street as part of West Philly Porchfest on June 4, 2016. 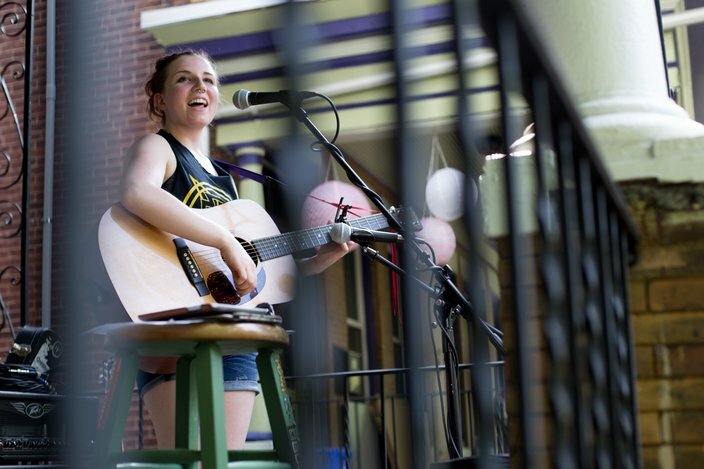 Meghan Hannah sings and plays the guitar on a Walton Street porch. 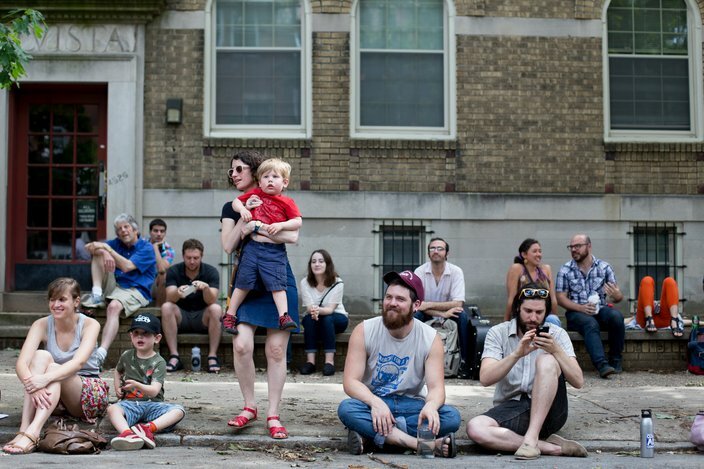 Luna Zuber, 4, sits on the sidewalk and watches a performance by Meghan Hannah, Alex Onderdonk and Chris Onderdonk on Walton Street as part of West Philly Porchfest on June 4, 2016. 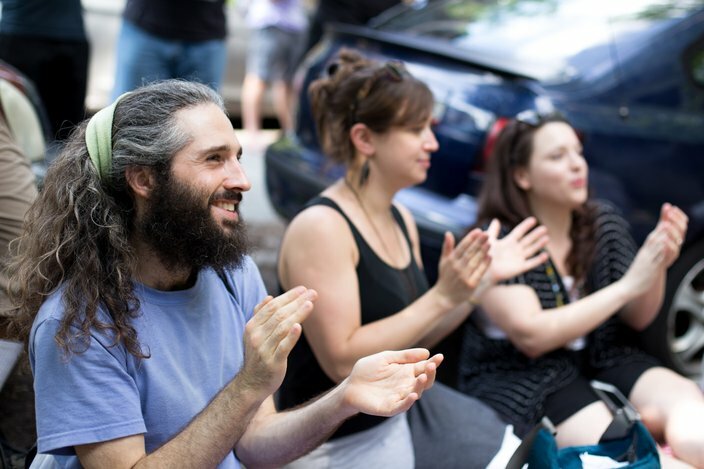 From left, Adam Salzberg, Jordan Pierce and Catalina Lassen watch a performance on Walton Street in West Philadelphia as part of West Philly Porchfest. People stood on sidewalks and in the streets in West Philadelphia to watch the performances on June 4, 2016. 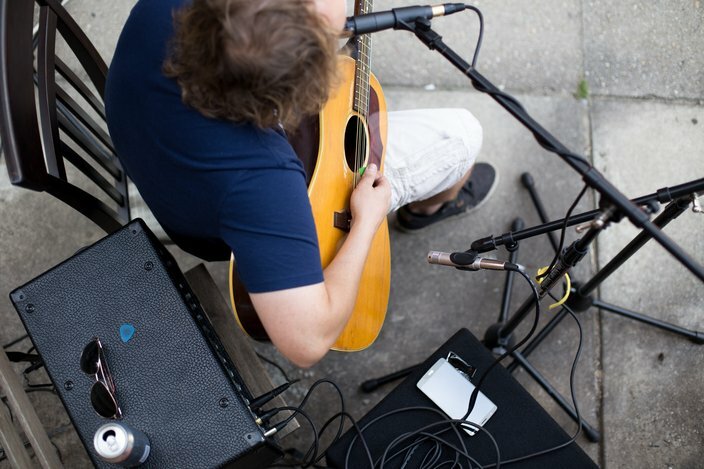 Guitarist John Bridstrup performs for a small crowd on Baltimore Avenue as part of West Philly Porchfest on June 4, 2016. 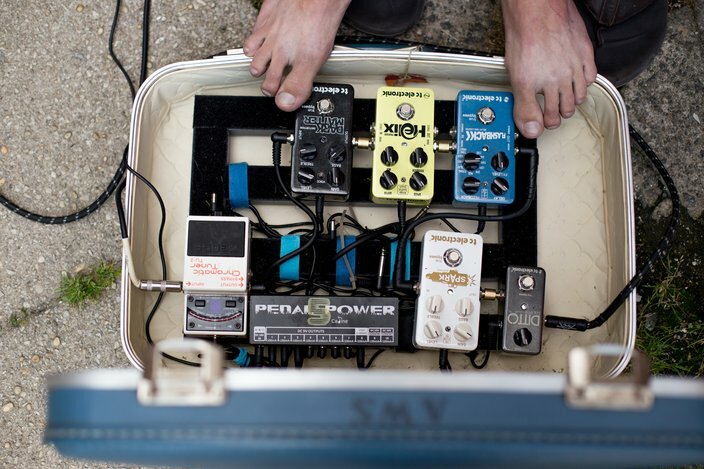 Guitarist Matt Voelker sets up for a performance on Baltimore Avenue as part of West Philly Porchfest on June 4, 2016. 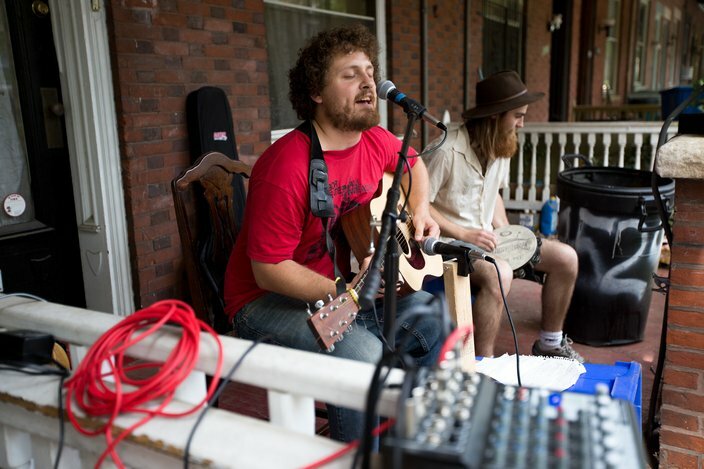 Driftwood Soldier, the mandolin-bass duo of Owen Lyman-Schmidt and Bobby Szafranski, performs as part of West Philly Porchfest. Megan Gillespie sits on a rocking chair on 45th Street during a West Philly Porchfest performance, June 4, 2016. 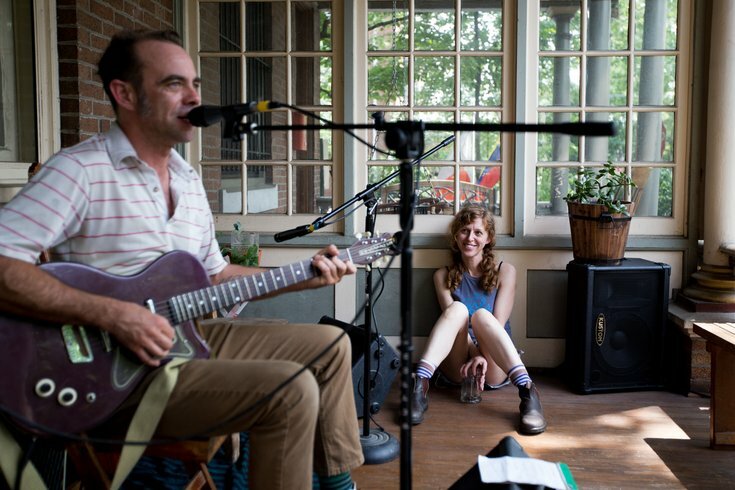 Malcolm Culleton performs on Osage Avenue as part of West Philly Porchfest on June 4, 2016. 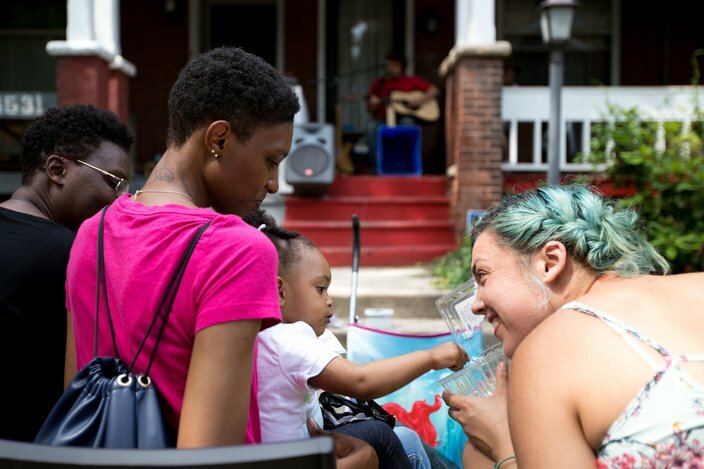 One-year-old Mia Gibson sits on Sierra James' lap and eats blueberries from Maris Hare during an Osage Avenue performance at West Philly Porchfest. 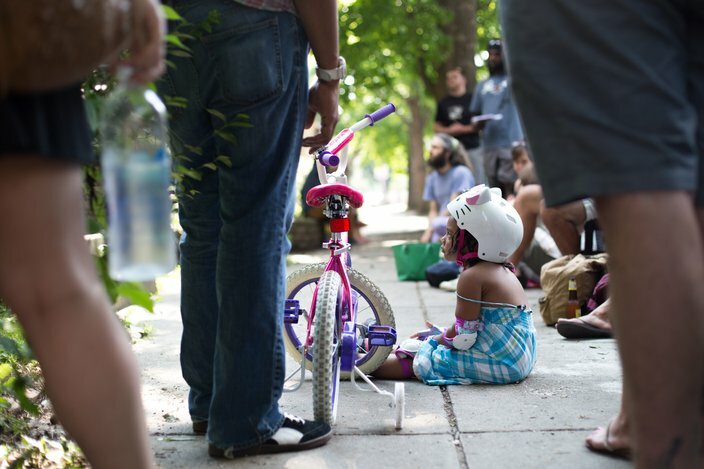 Ralph Posmontier watches a performance during West Philly Porchfest. He performed as part of Sonic Sandbox earlier in the day. Emily Zeitlyn performs on 45th Street during West Philly Porchfest on June 4, 2016. 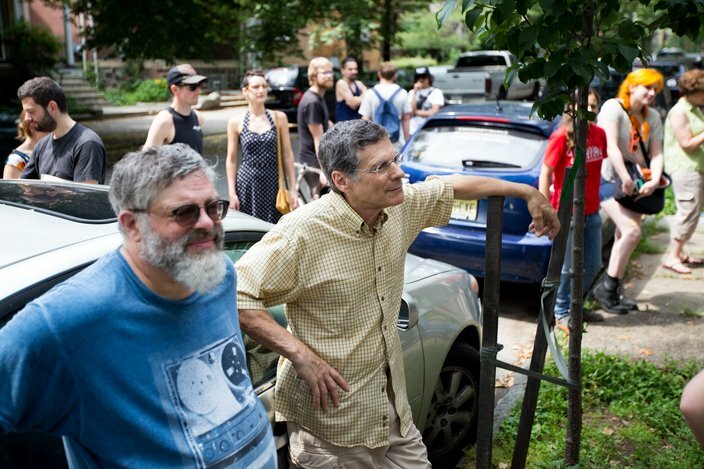 Bob Jobin watches a performance on 45th Street by Emily Zeitlyn as part of West Philly Porchfest on June 4, 2016.